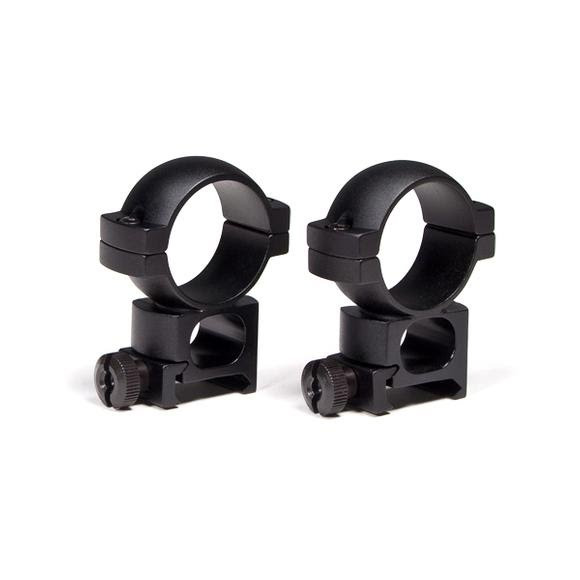 Vortex 30mm riflescope rings mount on Picatinny or Weaver type rails. Made from aircraft-grade 6061-T6 aluminum for optimum strength. Low: Positions center of rifle scope 19 mm / .75” from base. Medium: Positions center of rifle scope 24 mm / .94” from base. High: Positions center of rifle scope 31 mm / 1.22” from base.